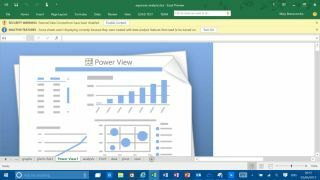 It seems that Microsoft is getting ready to push out a Project Centennial version of the Office 2016 suite on the Windows Store – or at least, a test version is now available, which certainly points to the possibility of this happening before long. So, in other words, you'll soon (in theory) be able to download the full desktop apps for Office on the store (as opposed to the touch-focused Office apps), and the process will be simplicity itself, as WinBeta notes. With one click, the entire suite will be downloaded swiftly, installed and ready to run, no mess and no fuss. At the moment, the apps are apparently listed on the store, but they're not functional – this is clearly labelled a test version, and while it will install, when you launch any of the apps, nothing happens. So there's not much point downloading it now, and indeed some folks who have installed this version have reported trouble with uninstalling it. We'd leave it alone, then, but this is exciting because it shows that hopefully the full implementation of the Office suite on the Windows Store will soon be live. Although there is no guarantee of that, of course. Redmond is only playing at testing right now. Microsoft is naturally enough pushing the Windows Store (and indeed Windows 10 in general), and earlier this month introduced the 'Built For Windows 10' label which highlights those apps specifically built as universal apps for its newest OS.